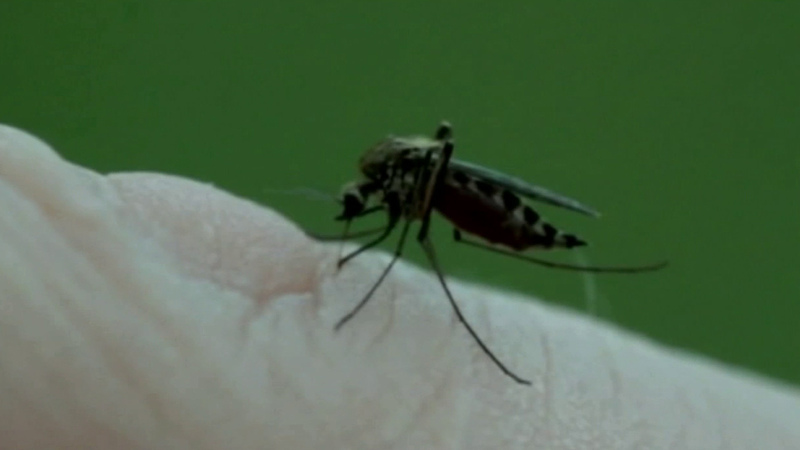 Mosquitoes transmit the West Nile Virus. LOS ANGELES (KABC) -- Three deaths from West Nile Virus contracted in 2017 in California have been confirmed, state health officials said. The three people who died from the mosquito-borne virus were from Los Angeles, San Bernardino and Kern counties. The Los Angeles County victim was described as a resident of the San Fernando Valley who was hospitalized in early August and then died from West Nile-associated neuro-invasive disease, county officials said. "West Nile virus is a serious disease that can lead to hospitalization, death and long-term disability, especially in older adults and people with weak immune systems," said Dr. Jeffrey Gunzenhauser, MD, the county's interim health officer. "Everyone should take precautions against mosquitoes by using insect repellent containing an effective ingredient such as DEET, and eliminating any standing water around their home where mosquitoes can breed." LA County has seen 46 cases this year. In 2016, Los Angeles County saw 153 cases, including six deaths. The peak of illnesses caused by West Nile is typically in September, with some cases still seen as late as November, county officials said. The San Bernardino County case was described as an elderly man with serious health problems who lived in the western part of the county. San Bernardino County has seen eight cases this year, and in 2016 saw eight cases, including two deaths. California has seen 87 cases from 13 counties this year. More information about West Nile Virus is available from state health officials here.